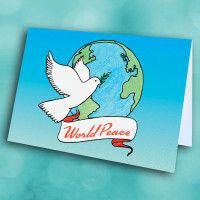 A wish for peace on earth and a wish for happiness, both sent through this holiday card. 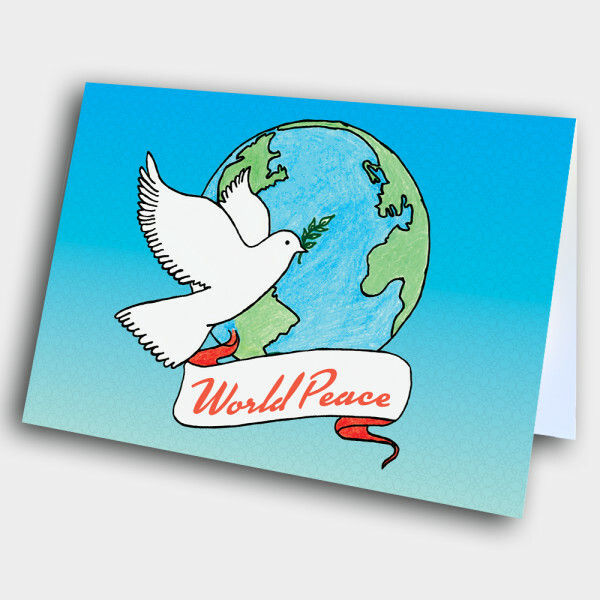 Send some positive energy into the lives of those around you with this peaceful holiday card. 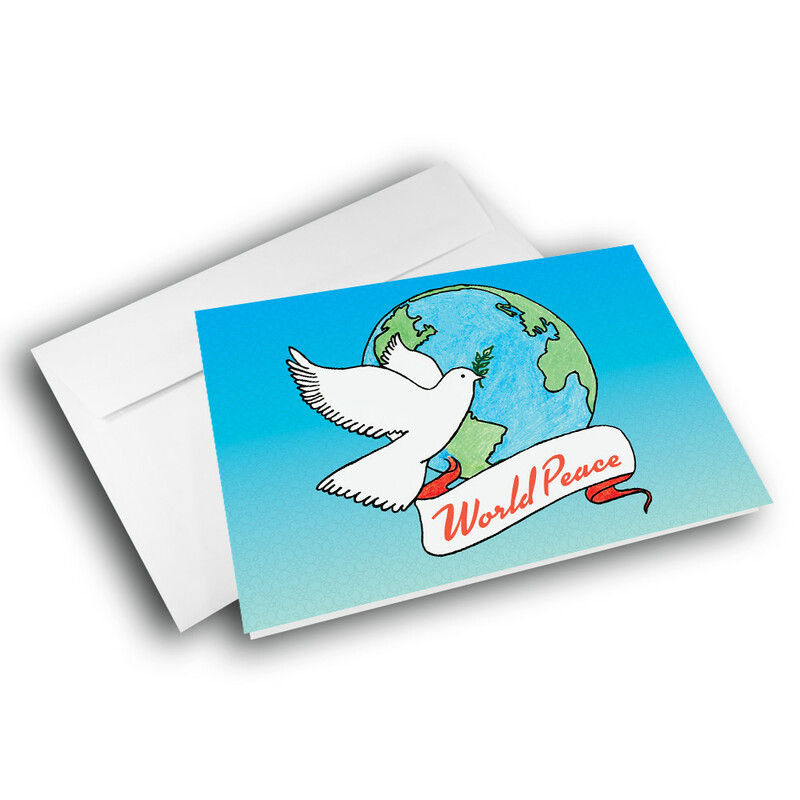 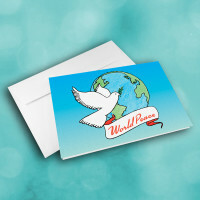 Adorning the front, a white dove flys across the globe, over a banner proclaming world peace. 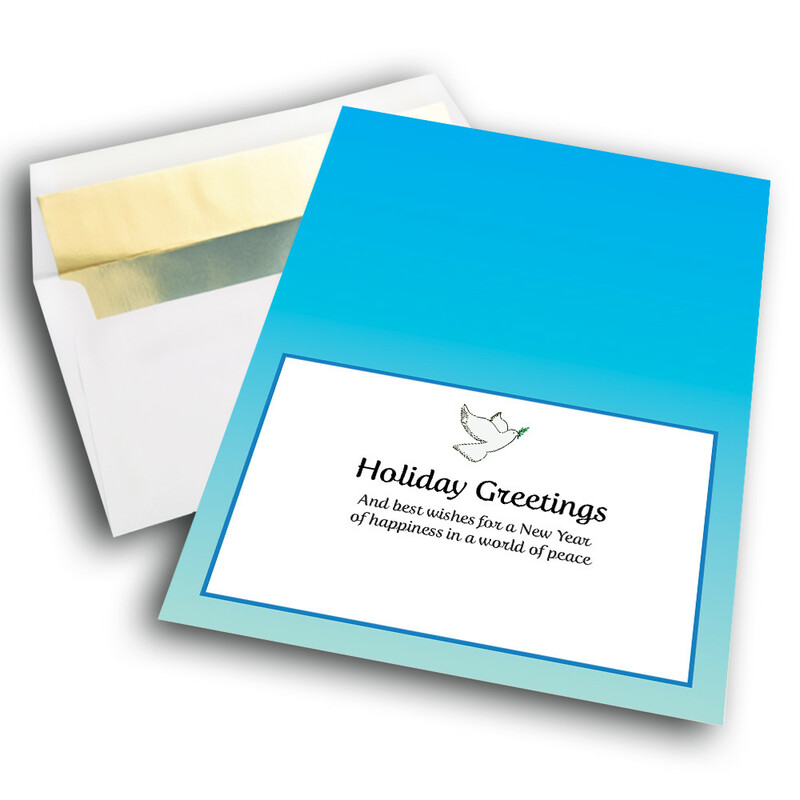 The blue-fade background on the front carries over to the inside, where a warm message is printed. 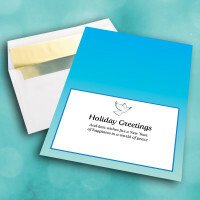 This message can be personalized to give the card that personal touch.